On February 2nd, I posted news of the upcoming Houzz webinars. Yesterday, on the 4th, I attended one of the webinars hosted by the Houzz Marketing Manager. The webinar lasted about 20 minutes, and consisted of by a slide presentation to illustrate each point verbally presented. There was no sales pitch, as with many webinars–it was simply a how-to on improving your Houzz profile. 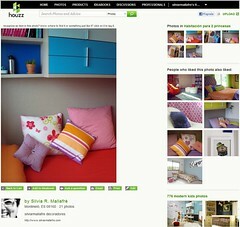 Houzz has 12 million monthly site users and 90% are home owners interested in home decor. There seems to be a great deal of interest in the work of the artists who do have profiles and post art images on Houzz. Artists can set up a free account with unlimited upload of images. When adding your images, select your 5 best and designate them cover photos. Those five images then appear in the Professional Directory in a montage associated with your individual profile. Thanks for posting about ArtStack! Thanks so much for posting about ArtStack on Artist Marketing Resources – I really like what you’ve stacked so far! You can also add a ‘Follow me on ArtStack’ button to the page by copying the code straight from here: http://theartstack.com/invitations/new?method=follow_button – this works just like the code for the ‘Follow me on Pinterest’ button, and if someone who clicks the button hasn’t already joined ArtStack they’ll be able to sign up from directly; they’ll also follow you when they join. Let me know if you have any questions or thoughts about the site – I’d love to hear your feedback and please do spread the word! Inquiry or Enquiry? Getting it right. Many artists hard at work making multiple submissions weekly may send email to an art publishing company, for example, requesting their submission policy and guidelines. In the email subject line should the artist type Artist Inquiry or Artist Enquiry? Which is correct? According to the Grammar Monster entry on inquiry vs enquiry, in both the USA and UK they are interchangeable words. However, in the UK the word inquiry denotes an investigation, while the word enquiry refers to a question asked. 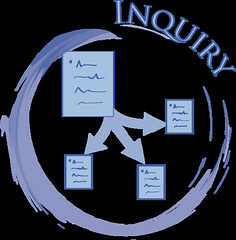 In the USA, the word inquiry is more widely used and often the word enquiry is thought to be a misspelling of the word inquiry. So, in practice, enquire and enquiry are more common in British English, and inquire and inquiry are more common in American English. This usage difference may be something to consider to help smooth over differences when doing business internationally. Little things can matter. Also, consider that Australia, India, South Africa, Hong Kong still commonly use British English, while American English may generally be preferred in other parts of the world, such as in Japan, S. Korea, Philippines, and Mexico. In Canada, it may be case by case–some use British English, some American English. When sending email to an arts professional in the USA perhaps it is best to use inquiry to avoid the appearance of a misspelled word. When sending an email to an arts professional in the UK you may want to use the preferred enquiry. Artists, do you want feedback from your website visitors but are unsure how to create interactions? Do you wonder how visitors to your website feel about your site design, or the over-all look of your site and ease of navigation? If you are trying to come up with new ways to interact with your website visitors and gain feedback from them you might try your own version of a survey and giveaway (like in the example below). You could create a survey and send it to your mailing list or site subscribers, or post it to your blog. Perhaps you could ask for survey feedback and give one lucky winner an art print. I know these things may seem trite or corny, but everyone loves a giveaway! Giveaways generate excitement and interactions. A few months ago, I received sample art canvases from a manufacturer to review on my blog. I liked the quality and price of the canvases so I asked the manufacturer to do a giveaway on my blog. Yes, one of our blog readers, in our very own Artist Marketing Resources blog giveaway, received a free canvas shipped to them at no cost by the manufacturer. Our blog post and giveaway offer created enough of a buzz that the manufacturer was pleased and offered to do another giveaway with us in the future. You could also set up a giveaway with an art supplier or manufacturer in exchange for a similar small promotional campaign. As a giveaway, you can do this one-on-one. Contact an individual at an art and design company and offer placement of their logo on your site (for a set amount of time) in exchange for a review of your site and their professional feedback for improving your site design and navigation. These sorts of exchanges are commonly done. You can also offer logo placement on your site or blog to art suppliers or manufacturers in exchange for artist materials. Artspecifier and Photospecifier needs your help. Please take a few minutes and complete the attached evaluation/survey. By so doing you will be assisting us in serving you better. When you submit your completed evaluation, you will be entered into a lottery to win a lovely dinner for two in the city you live in! It is that simple. We thank you for your valuable contribution and for being an integral part of creating vibrant, creative communities. F*R*E*E* Mobile App of Your Artist Website In Minutes! You can create a mobile-friendly version of your website in minutes. It’s true! I tried it. I entered my URL and the rest was completely automated. About two minutes later my app was ready. Conduit Mobile also helps you promote your app and site to get more mobile users with their set of promotional tools and tips. So you may have to invest some time into learning how best to promote you new app. 1. Add one or several photos from your computer and create a new album out of them; after you have done that, Google+ automatically offers you to share (at which point you can add some text to make a post to accompany the photos). If there are three photos or less, the post will include a “panel” with all of them; if there are more, it will show a panel with the first three. 2. Essentially the same thing happens if you add your photos to one of your already existing albums: Google+ offers you to share, and, by default, it will include in the post only newly added photos: if there are three or less, they will be all visible together, in a panel. The latter option works better if you have “thematic” albums — in this way, if someone clicks on a photo to view a larger version, they might also browse the whole album (note: if you click “Photos” from my profile, you will see that I have lots of such albums). It works as a “gentle nudge” to the followers to browse more of your work. 🙂 Quite often, this really happens — I see that someone goes through the older images and adds “+1″s or comments. And it also offers those willing to share your work to their followers an option to share a whole album, rather than a single post or a single image. I cannot give you links, because I am figuring this all myself, more or less (especially because they rather frequently change how it all works… :). Lena Levin’s website is www.lenalevin.com. NEW YORK and NEW BRUNSWICK, NJ – Are you an artist who, having mastered your craft, now finds that your career has hit a wall? Do you have a specific project or goal that you want to accomplish but lack the resources? By the end of this course, artists will have built an action plan for their career or project, and will have developed the skills needed to execute it. Whether you sign up to the above course or not, Artist Marketing Resources provides über economical resources to compliment your plan of action. Fine Art Shipping HORROR STORIES and Remedies! Thanks to artist Harriete Estel Berman for creating and sharing this series of SlideShare presentations on the best methods of packing your art for shipping to buyers and exhibitions. Some artists openly comment on their reference materials–such as Shepard Fairy who has used vintage Russian posters as resources for his art-making. Many other artists wish to keep their reference sources hidden. Perhaps with some digging, you can uncover some of the obscure images for your personal use within the United States Library of Congress in Washington DC– a massive collection that comprises tens of millions of books and manuscripts as well as 15 million prints and photographs. The good news is that the images are free to download. Through the website you have access to the online catalog Prints and Photographs that consists of 69 very diverse collections, including 18th century British cartoons, 19th century American baseball cards, old Japanese prints, theater posters, black and white photographs of the Middle East, promotional posters from the First World War and of course beautiful pictures of recent American history. Unfortunately, not all collections are accessible online. But the images of the collections that are available are often very large TIFF files for download, making them perfect for large format printing. How do you go about a search within such a massive collection? If you only want large images, here is a research tip. Once you click on one of the 69 collections, you are taken to a page “About this collection” in the left column. Above is ‘View All’. If you click on *view All*, you will be shown all the images. If you select the check box ‘Larger image available’, only the large files come up. Need to get better organized to increase your sales? Art Butler is a software to organize your art. Art Butler turns ten years old this month and offers 50% off their regular prices as part of their anniversary celebration. Need an innovative idea to make regular quarterly sales of your art? Try setting up a subscription service on your website, in a way that is similar to a quarterly magazine subscription, except buyers subscribe to receive one of your limited edition artworks quarterly. Spaces, an alternative exhibition space in Cleveland Ohio, has sent up such a subscription service. Review their Quarter Art program as an example for you to follow and adapt to your needs. At Space an annual subscription is $500. A half-year subscription is $300. That is only $125 – $150 per limited edition art object by some of the artists they represent, including: Aaron Koehn, Sarah Kabot, Lorri Ott and Michael Loderstedt. At Spaces an annual subscription is $500. A half-year subscription is $300. That is only $125 – $150 per limited edition art object. Subscribers quarterly art objects may be two-dimensional, three-dimensional or digital. Subscribers do not receive an image of the specific object in advance. The surprise is part of the fun for subscribers. 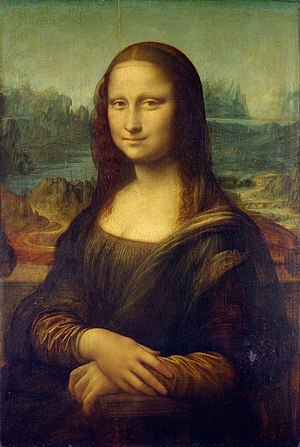 Signed up for Art.sy to discover art from over 250 of the world’s leading galleries and museums. This free guide, released in partnership with Outdoor Photographer magazine, Selling Nature Photography explores how successful nature photographers have built their businesses and the secrets to getting the attention of leading buyers. 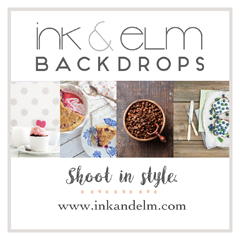 You’ll also discover the most popular avenues for selling nature photography today, and how personalizing your pitches could get you sales. Get this Free 34 page PDF here . Painters, sculptors and all artists — reading this guide may spark ideas for making sales or help you polish your sales pitches for your artwork. Painter Alessandro Brentel turned his online art portfolio into a sales event which he titled “100 ARTWORKS 1 ARTIST ! !” The event offers one hundred of his paintings for sale in his Ebay Wikipediart online store. The artist invited buyers to attend the sale using Facebook event invitations. This is clever and perhaps the idea will work for you as well. There is a co-op advertising opportunity in American Art Collector Magazine w/ Xanadu Gallery for a two page spread in the September issue of the publication. You can share your work with art collectors as part of this co-op ad for only $120. Many American and European artists would like to tap into the Asian art market. 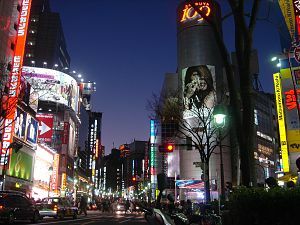 To help artists with their research, we’ve put together an extensive list of international art galleries that current includes over 40 art galleries in Tokyo, Japan, with more researched and added continually. Plus, we have over 40 Art Licensing Agents, Artist Reps, and Art Licensing Companies in Asia–in Japan, China/Hong Kong, Philippines, Taiwan, Korea, Thailand–listed in our 150+ page Art Licensing PDF. This quote is from Mother Teresa. For me, the part about god refers to the spiritual forces. I’ve discovered an art gallery that is based in Europe and exhibits their artists all over the world–from New York to São Paulo–and guess what? They also sell their artists’ paintings from their website and offer limited edition print options too! And they have a great reputation and are well-respected in the artist community. So what are your waiting for…oh, that’s right, I didn’t give you that information. And I didn’t give you that great art licensing site I just added to my 150 page PDF list–a site where lots of artists sell their art printed on various upscale home products and personal accessories. Oh, and those great online art collectives and galleries I just updated to my gallery list of thousands of links. Well, guess what again? Today is * no free samples* day here on the Artist Marketing Resources blog. That’s right. We’ve given away lots of information to you already since our start in February 2009. So today, if you want these great resources, and thousands of others gathered and researched over the years, (along with recent new additions to the list) it’s going to cost you $18.95. So, it’s up to you! What do you want to do? “There is an Art Scam that is going around that you need to be aware of. I know because I’m currently in correspondence with the scammer who calls herself/himself “Gretta White”. I received an email from “Gretta” saying, “Hope this message finds you well. I saw these creative works on your website and I will like you to get back with more details if they are still available for purchase.” She then proceeds to give me the titles of 2 of my art pieces. I wrote back with details of the pieces. She then writes back and asks what inspired me to make the pieces. In following emails, she tells me that she is expecting her first child and that she and her husband are currently moving from New Jersey to London. Then she says she’s in Cancun for her sister’s wedding. Then she was in the hospital in Cancun because she almost had a miscarriage. Of course I wrote back to say how sorry I was that she was ill and I’m glad she’s feeling better. Then she wants my address so her husband can send me a check and she can notify her “cartage company” so they could arrange the pick up of my work. I suddenly had a feeling that I needed to learn more about Gretta White so I googled her name. There she was under “Gretta White Art Scam”. The person calling herself/himself “Gretta White” supposedly has her husband send the artist a check with an over-payment of thousands of dollars. She then says her husband made a mistake and included the shipping charge so would the artist please go ahead and deposit the check in their own bank and Western Union the over-payment back to her husband. Of course the check is fake but it takes the bank a while to find out. In the meantime the artist has just sent real money to Gretta’s husband. I now have the check that Gretta’s husband sent me. The check is $2,000.00 more than the price of my art. I received an email from Gretta today asking me to go ahead and deposit the check and she’ll tell me where to send the Western Union. The check was sent by a Fred Stellato in Bethlehem, PA. (Gretta told me they lived in New Jersey.) The check is from OMICS Publishing Group in Westlake, Los Angeles, CA. I plan to keep it as a souvenir. Artists Ask: Where can I find info on how to submit my artwork to art licensing companies? I frequently post Calls for Artists to Submit on this blog. Two days ago, I posted information about a fine art publishing company that is currently accepting submissions from artists. Artists asked—How do I submit? Where can I find info on how to submit my artwork to art licensing companies? Yes, you are on the right track by asking questions! Art licensing companies receive many submissions daily. It is important to make a professional looking submission. Why? If an artist submission is sloppy the company representative reviewing submissions may deleted it! Yes, this is true. In your art licensing submission it is important that specific words are used, or your submission may be deleted. Why? Because professionals in this industry do not have a lot of time to educate artists. It is up to the artist to find out the correct approach before contacting the companies about their artwork. You will find information on the correct ways to make submissions in my ebook the Transmedia Artist Guide to Making Artist Submissions. The ebook format gives artists immediate access to the information they need. Visual artists, the Transmedia Artist Guide to Making Artist Submissions contains tips, 100’s of resource links, and cover letters for you to adapt and use for making your own submissions, in any media, to get your art viewed by art licensing company reps, fine art publishers, art gallerists, museum curators, corporate art consultants, and others in positions to help you take the next step up in your art career. Artists use the information in this book to create their own opportunities and income streams that will support your art-making practice. 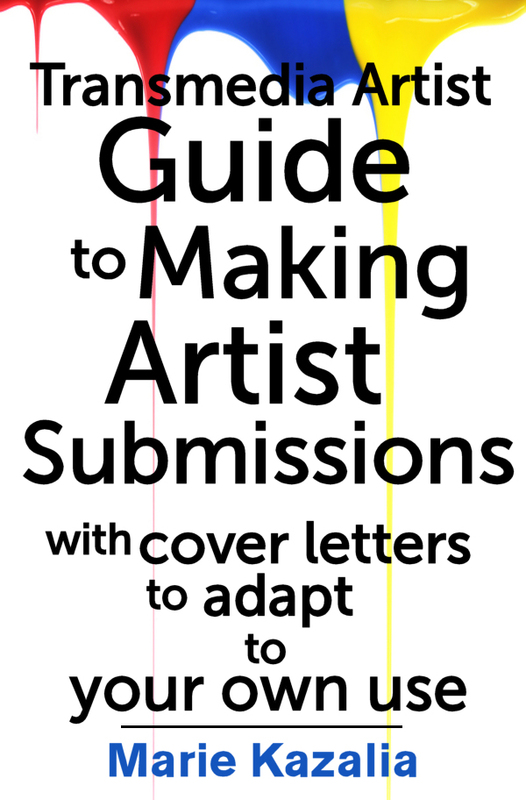 The sample letters in this ebook are based on actual letters used to obtain solo exhibitions, lucrative art licensing contracts, representation with top artist agencies, and contracts for lucrative Giclee print sales internationally. Adapt and use the cover letters in this ebook to make your own submissions. Where do you get a copy?